This is a figure of Valanpuri Sakthi Ganapathi. 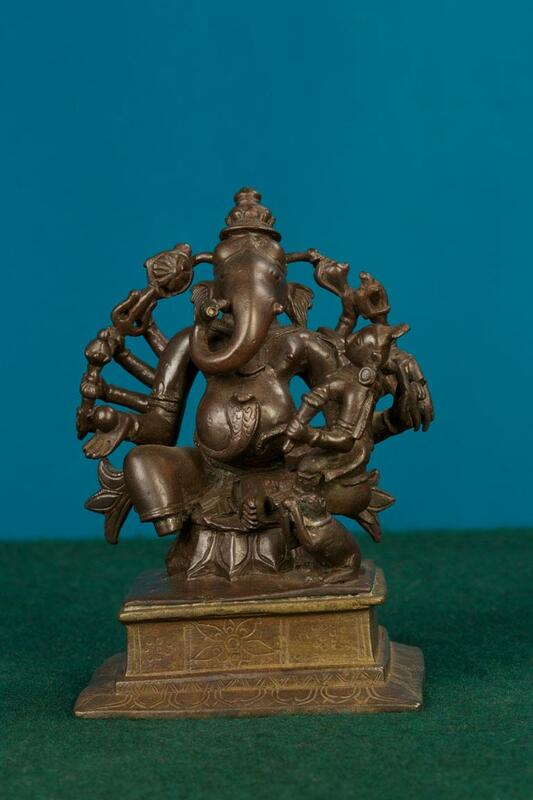 The sculpture is a seated Lord Ganesha. Here Ganesha is ten handed. Two handed Sakthi is seated on the left lap of Ganesha. Lanchanas of Vishnu, Shiva and Devi are visible on each hand.